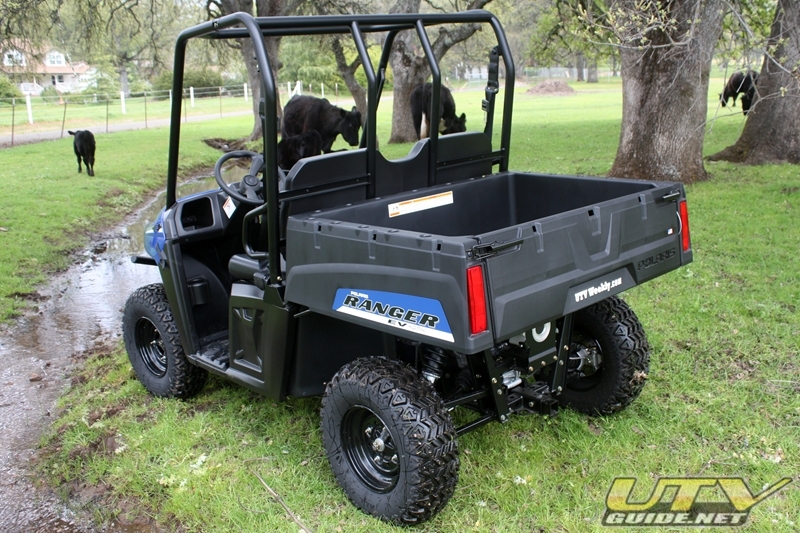 The midsize RANGER 400 and the RANGEREV both share the same, smaller, two-seat chassis, that fits in the back of a pickup truck, with many of the hardest working, smoothest riding features of their full-sized counterparts: On-Demand True All-Wheel Drive with VersaTrac, Independent Rear Suspension, heavy duty front end protection, high ground clearance and the longest suspension travel in their class. 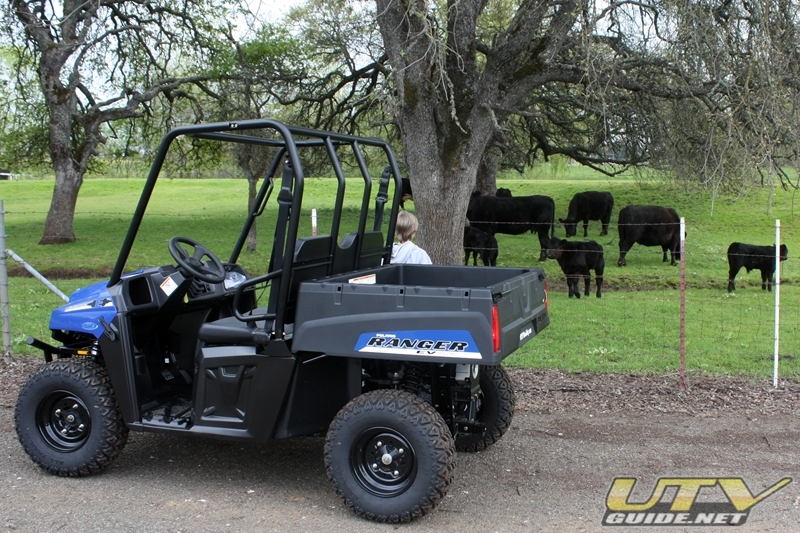 RANGER EV is perfect for hunters and homeowners with acreage. 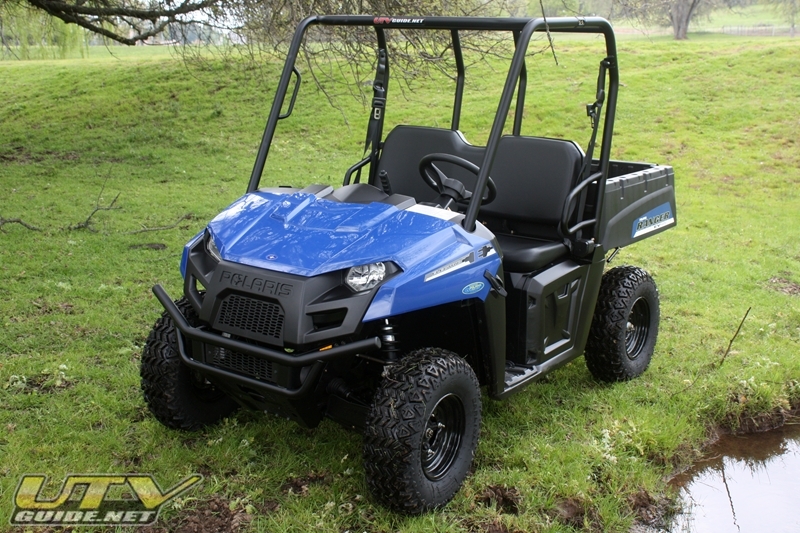 With its 30 horsepower electric motor, 35-45 mile range, 25 mph top speed and two hours of riding time between charges, the RANGER EV will transport hunters and their gear to and from their hunting site with fewer disturbances to game. 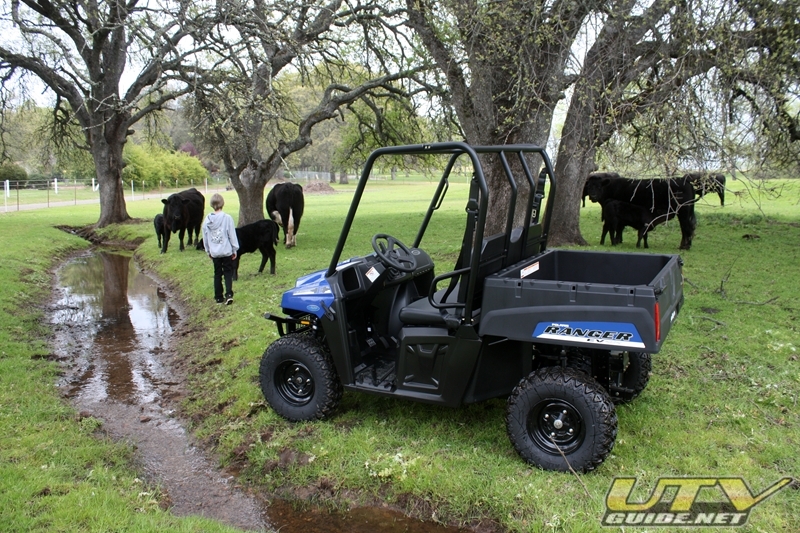 The unit also features a three modes; High for speed, Low for towing and hauling, and Max for maximum range. 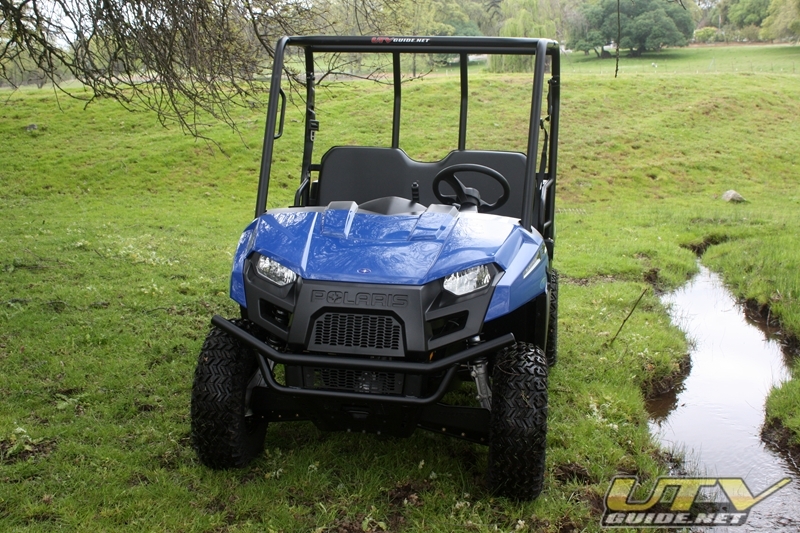 For harsh terrain, such as muddy fields on the way to fix the fence or trails full of rocks and stumps leading to the tree stand, the RANGER EV features On-Demand True All-Wheel Drive. 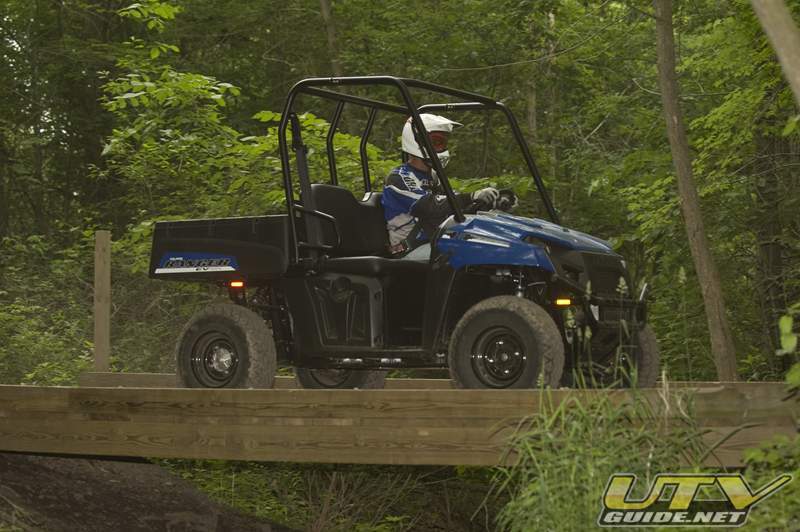 For more sensitive terrains and a better turning radius,RANGER EV has VersaTrac with one-wheel, rear-wheel drive to prevent damage and also better navigate tight areas often encountered in the woods. 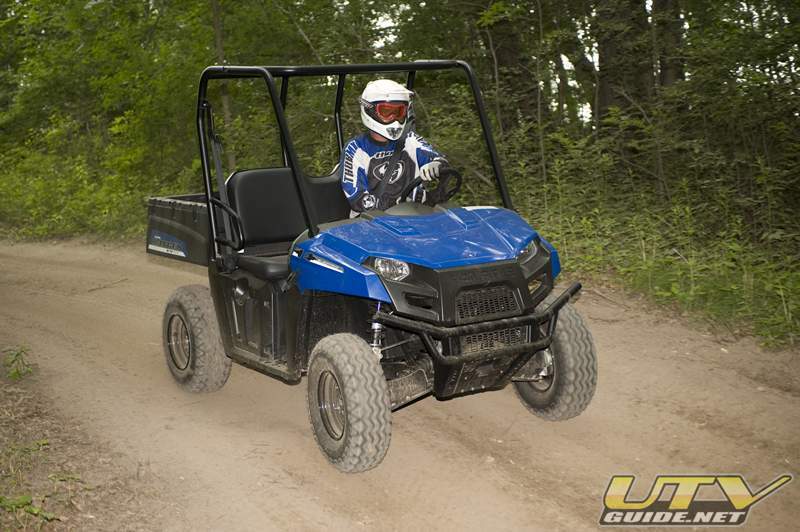 The RANGER EV has a 500 lb. 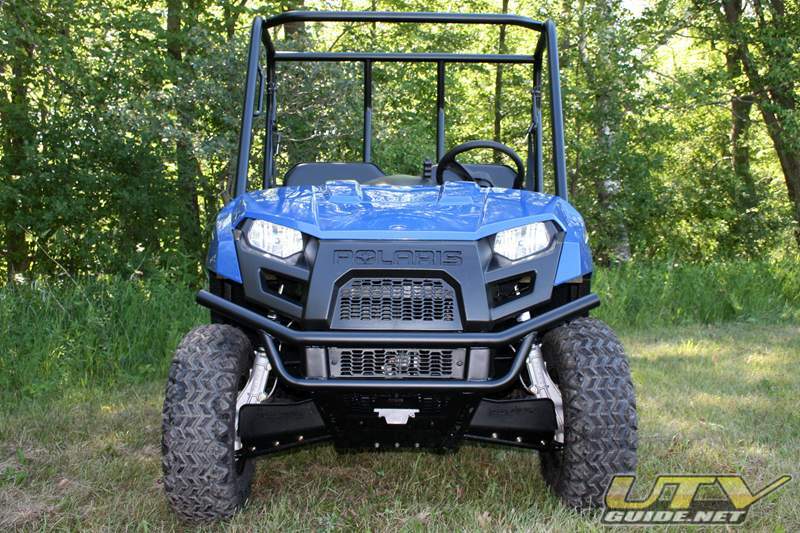 Lock & Ride cargo box with 1,250 lb. 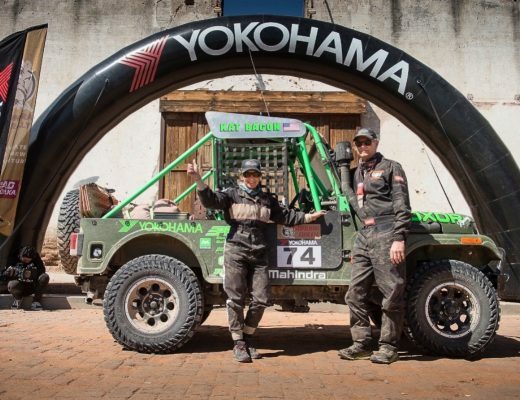 towing and 1,000 lb. 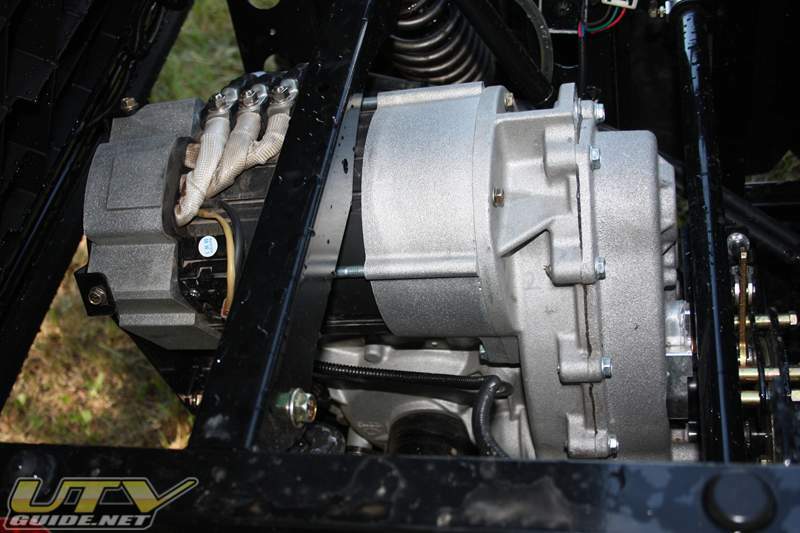 total payload making hauling hunting gear or game a breeze; and the models exclusive 48-volt, AC Induction motor provides high performance with low maintenance and can be charged using a standard 110 vac outlet. 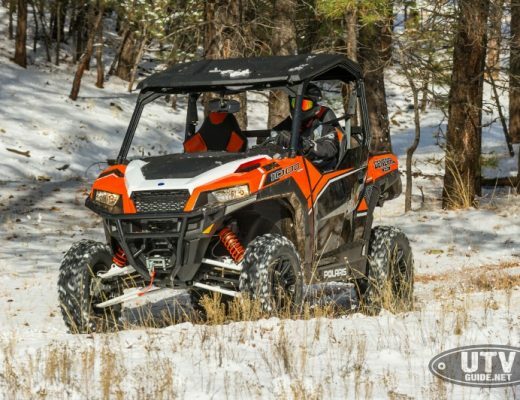 For quick charges between rides, PURE Polaris is offering a quick charge kit for RANGER400 to get you back on the trails. 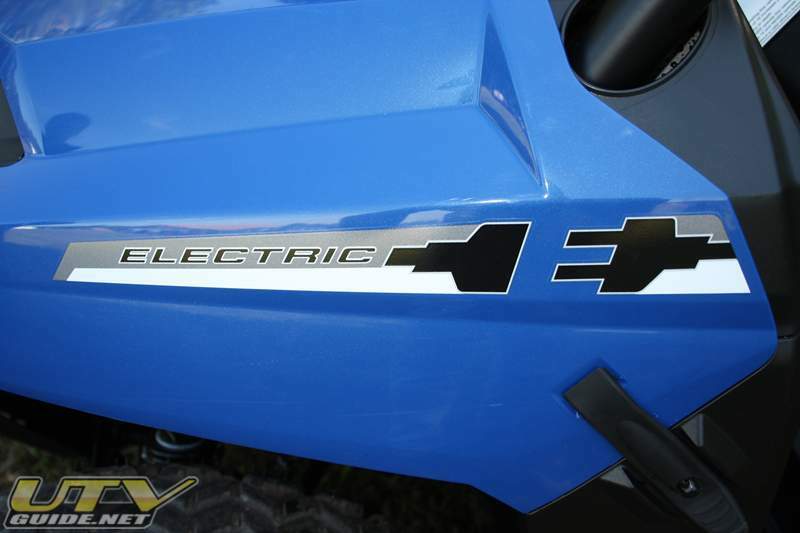 The RANGER EV has an MSRP of $10,699 (U.S.). 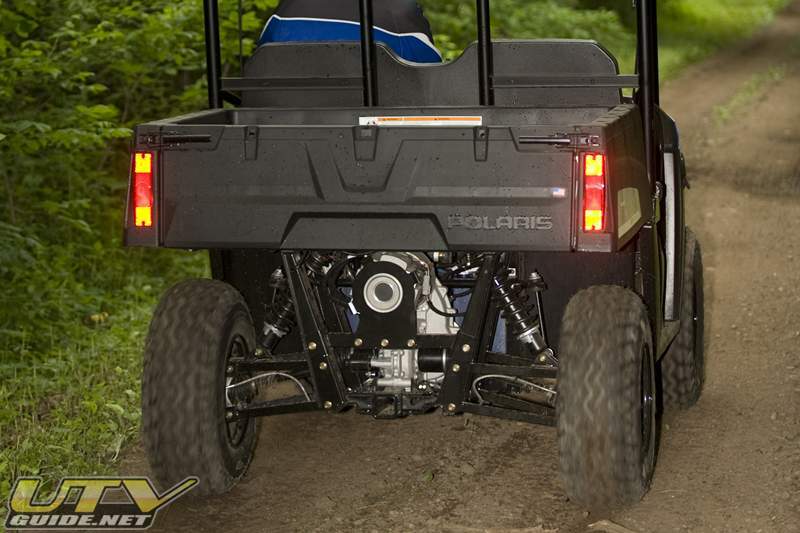 The pigtail for charging the Polaris Ranger EV is in the glove compartment. 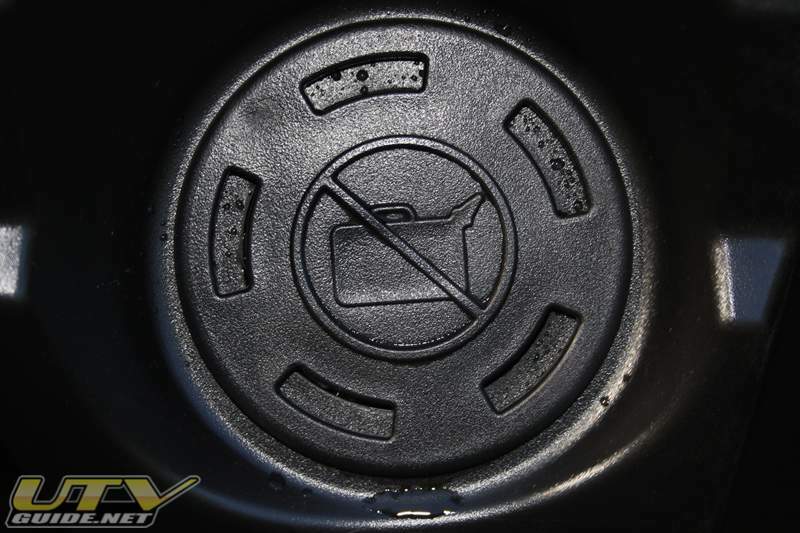 Make sure the key is OFF, then just plug it into any 110 vac outlet and you are done. The Charge Status Indicator located on the dash will blink to show current status. 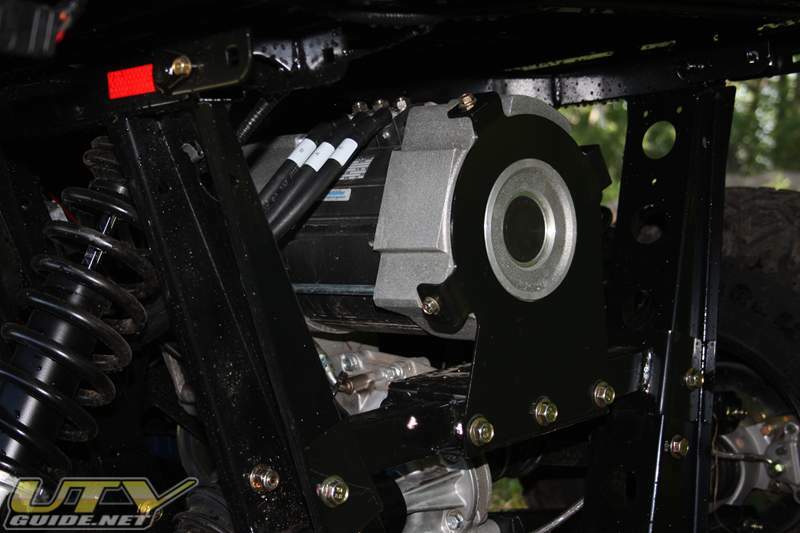 Flashing Amber – Power mode is reduced. 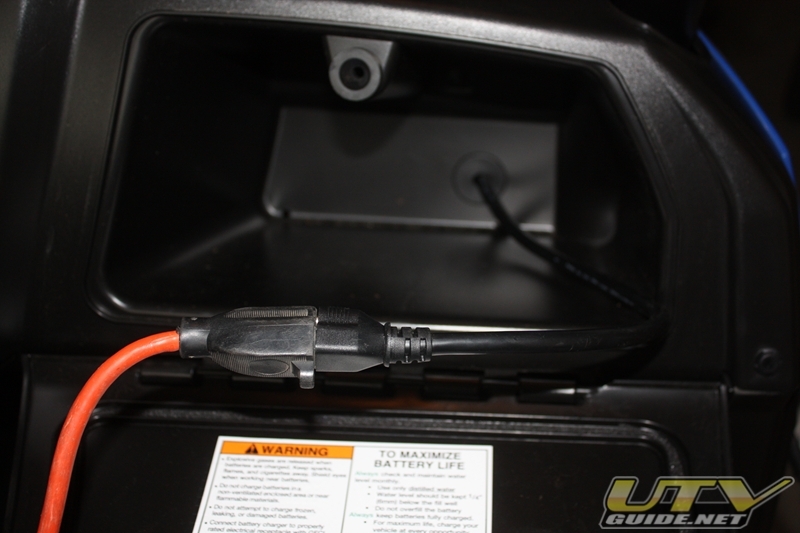 Charging error (low AC voltage or high internal charger temperature exists). Flashing Red – Charger Error. Reset charger power. 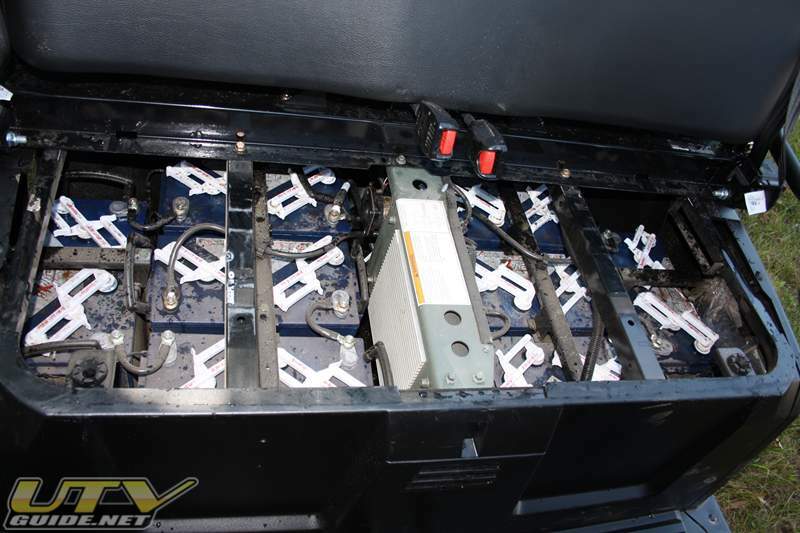 Power for the Ranger EV comes from eight batteries that are mounted below the seat. 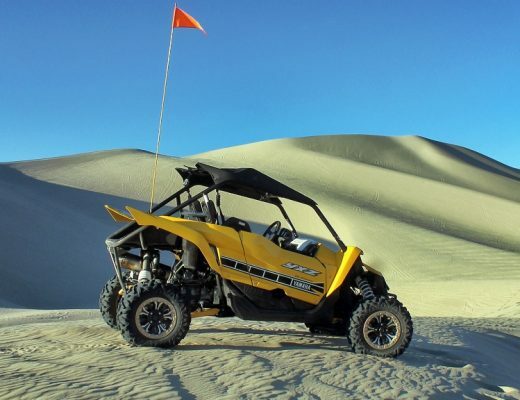 The Ranger EV Dash does not include a speedometer or odometer. 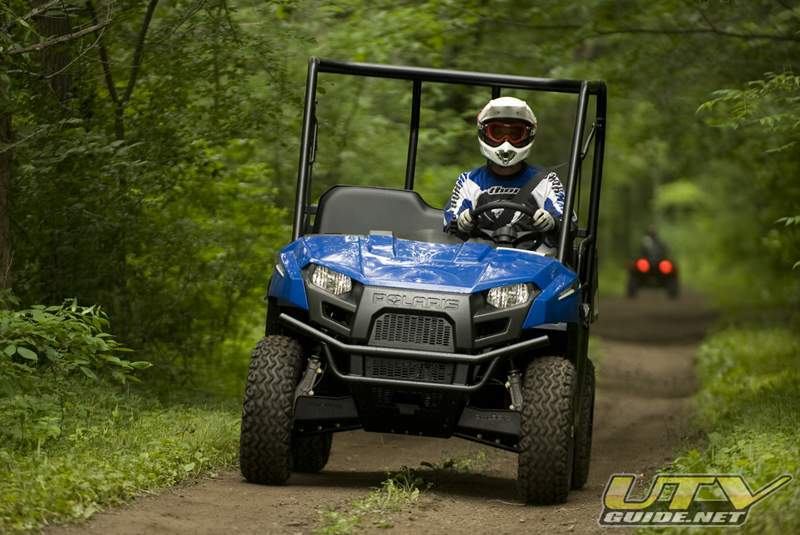 The Ranger EV comes with three different traction modes: one-wheel drive, two-wheel drive and four-wheel drive. 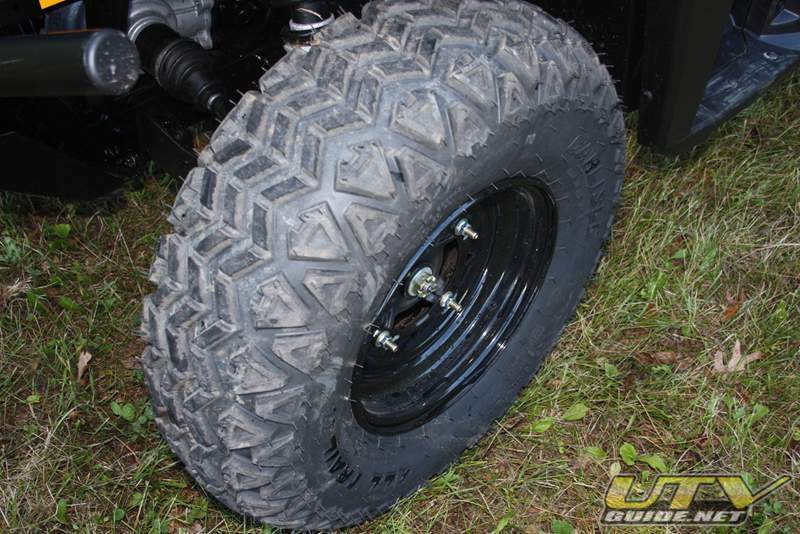 One-wheel drive is also known as “turf mode” where the rear differential is unlocked. 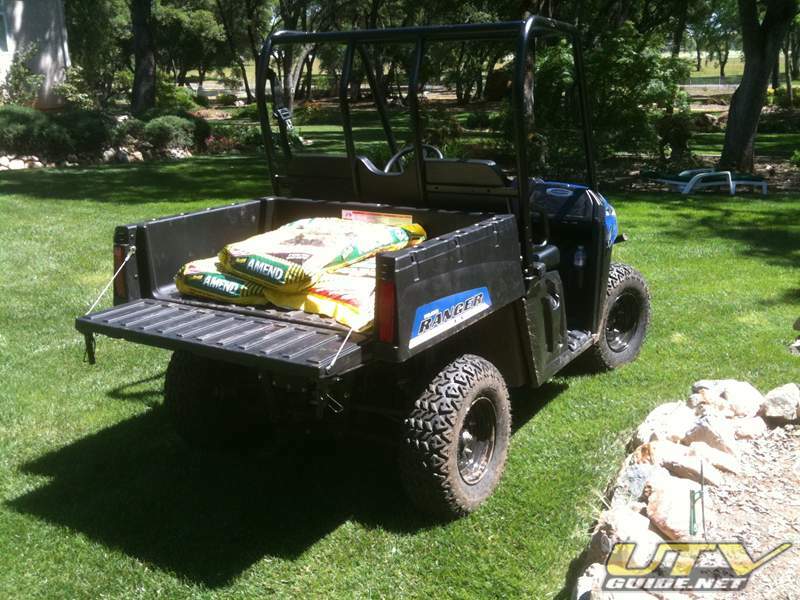 This is a great feature that allows you to drive on lawns without tearing it up. 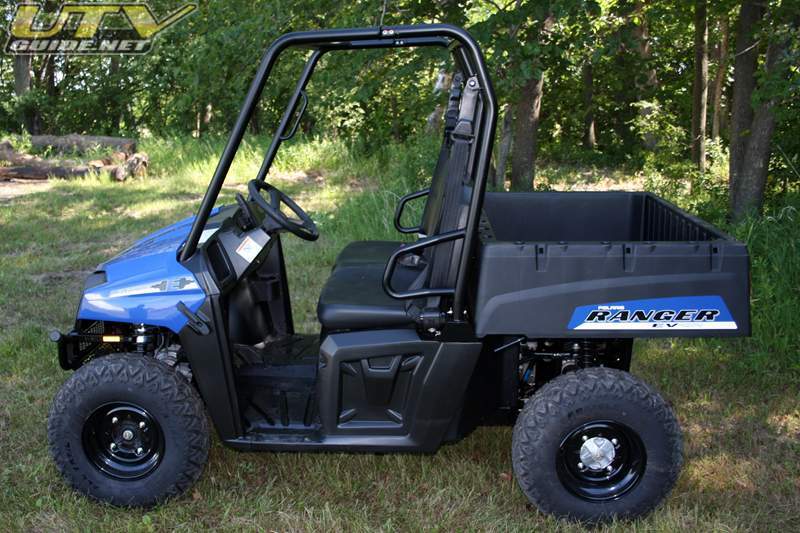 It is also nice for maneuvering in tight places since the turning radius is less. 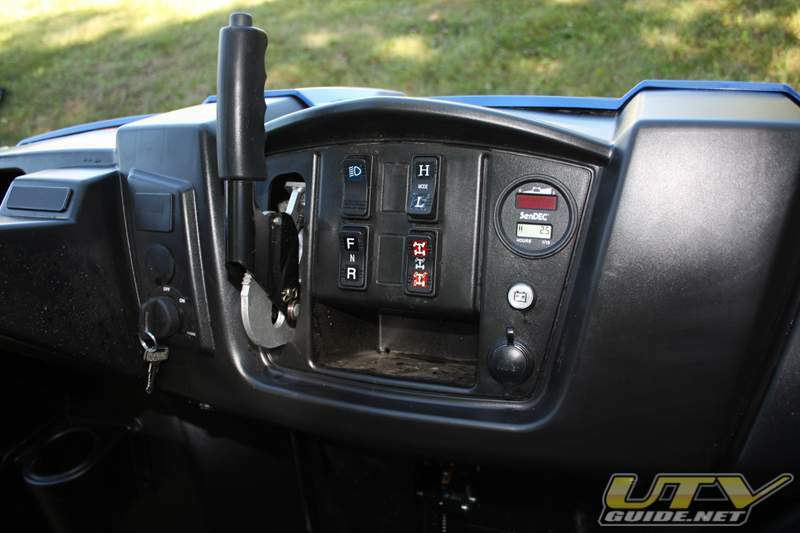 I wish all UTVs had this feature.